Amazingly smooth dress tactical flipper. 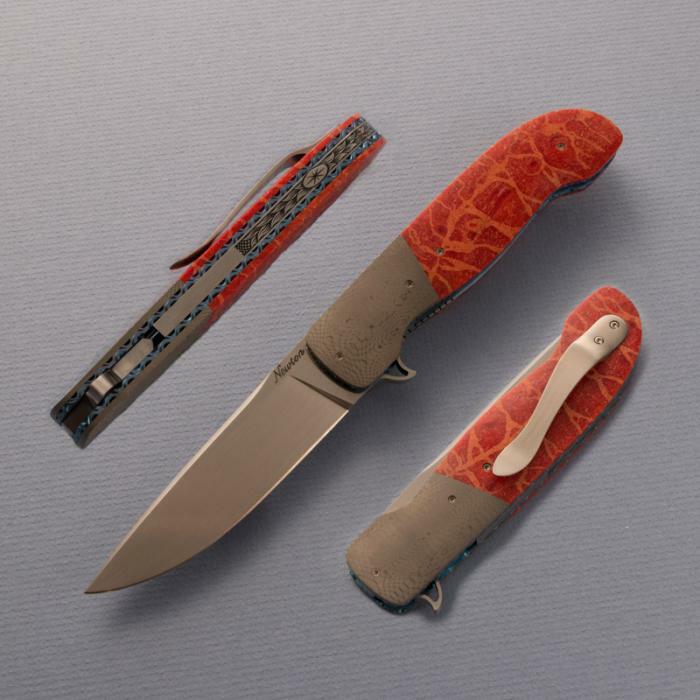 Bright red fire coral scales with Rob Thomas stainless Damascus bolsters. Embellishments: Titanium file worked and anodized liners with engraved spine and custom beltclip.